The influence of bloggers, podcasters, and users of other social media is profoundly disrupting the mainstream media and marketing industries. 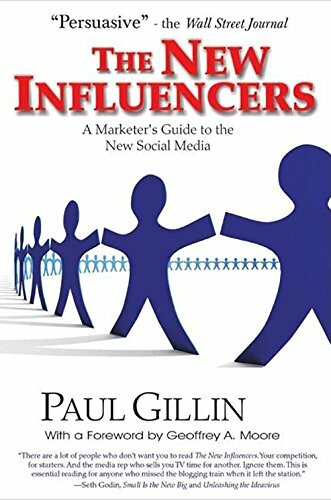 Paul Gillin s The New Influencers explores these forces, who these new influencers are, their goals and motivations, takes a look at the changes they have initiated, and offers strategies for marketing within this dynamic new macrocosm. The New Influencers explores: Why social media are now so influential in consumer decisions Interacting with those within the blogosphere How to take advantage of this new medium The need for complete transparency Strategies for both small and large businesses Whether your company or organization should start a blog. 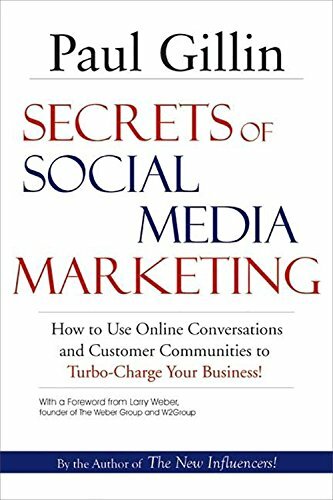 Secrets of Social Media Marketing: How to Use Online Conversations and Customer Communities to Turbo-Charge Your Business! Secrets of Social Media Marketing is a handbook for marketers and business owners to use in deciding how to employ the new social media for online marketing. Social media has quickly moved from the periphery of marketing into the forefront, but this is a new and quickly-evolving field and there are few established formulas for success. Building on the lessons set out in Gillin’s acclaimed and oft-reviewed The New Influencers: A Marketer’s Guide to the New Social Media, this book provides practical advice on strategy, tools, and tactics. It is a hands-on manual that will educate marketers on how to extend their brands, generate leads, and engage customer communities using online tools.